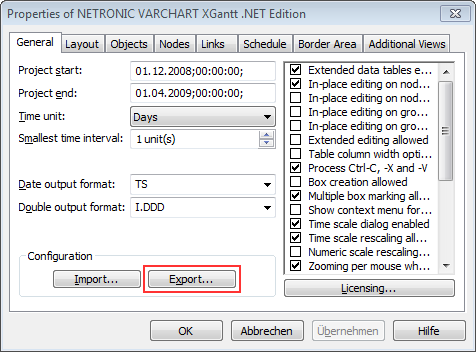 We released VARCHART XGantt 5.0 on 31 January 2014 and introduced a new interation concept which we call "Live Updates". We are pleased that the first customers already started to move their Gantt chart projects to the new version. With this post, we provide you with a step-by-step explanation how to successfully upgrade from VARCHART XGantt version 4.4 to version 5.0. Before installing VARCHART XGantt.NET 5.0, please open the form designer of Visual Studio with the form using XGantt 4.4 and save the current configuration of XGantt by clicking the Export button on the General property page. Close the form first and then Visual Studio. Click Ignore and Continue. The form in the form designer will be displayed correctly again but the XGantt will be set back to its default configuration. Now import the configuration you have saved before by clicking the Import button on the General property page. Hooray! 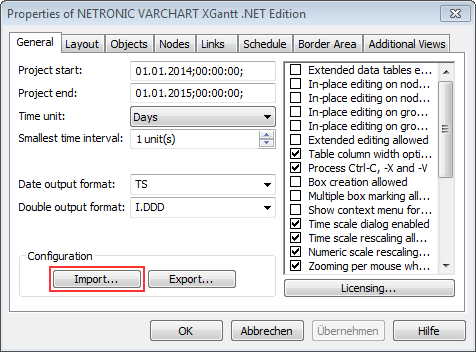 You are done, and can work with your individual configuration in VARCHART XGantt 5.0. Now enjoy adding live update functionality to your .NET Gantt chart application.